Daddy Monkey and little Monkey are on the road. But it is so busy, and so slow! Little Monkey has no patience. He escapes from his safe seat and swings from the firemen’s ladder to the crane, jumps over the street sweeper, straight through the taxi. The street is like a playground! 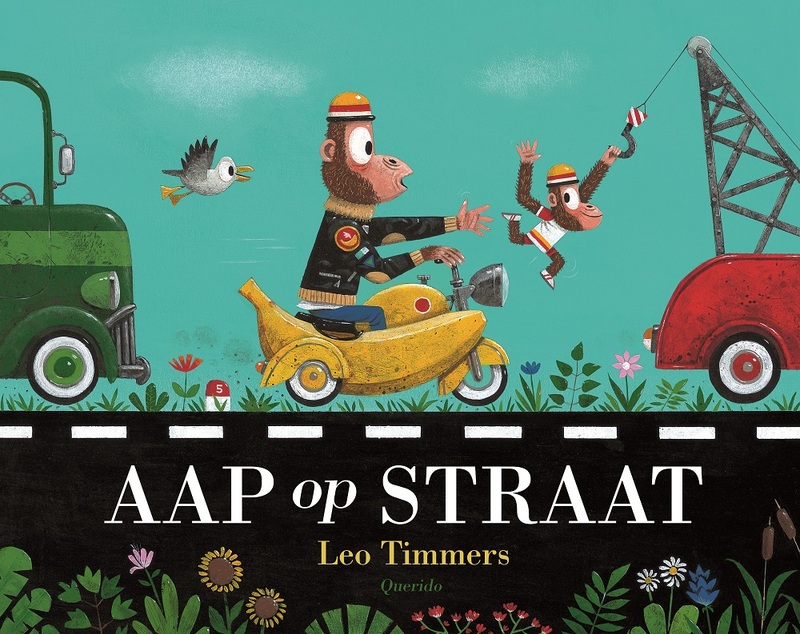 The ultimate car book by Leo Timmers, packed with funny vehicles and surprising monkey antics.